I created this cute Superhero themed activity to have some fun with reviewing plant products as a part of my science plant unit. 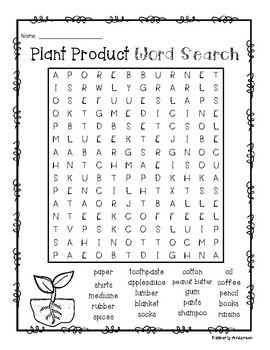 The kiddos simply search for words of plant products! !